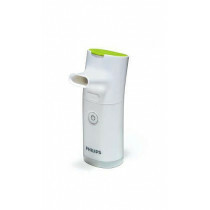 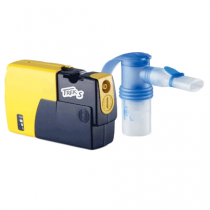 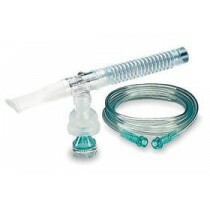 Portable nebulizer compressors, also know as Hand Held Nebulizers, are unique units that can be carried around and used at will since they are completely battery powered. 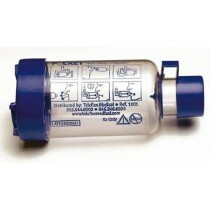 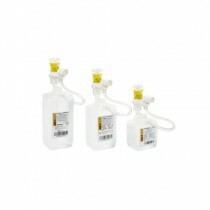 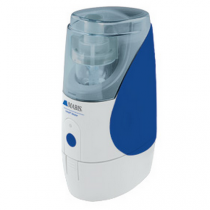 Many battery operated nebulizer compressors fit in the palm of your hand. 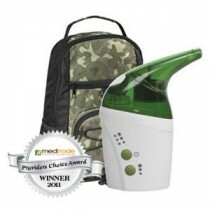 These include such models like the Pari Trek and the DeVilbiss Traveler. 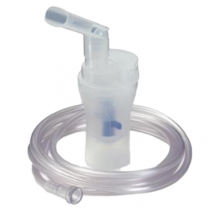 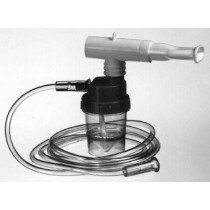 And like larger stationary units, these smaller , portable nebulizers simply have nebulizer solution mixers and a mouth piece attached to a hose, which is attached to the portable machine so they effectively deliver medicated mist on demand. 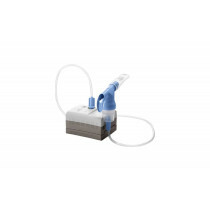 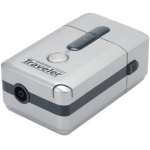 Portable Nebulizer Compressor Patient Applications: Use portable nebulizer compressors for delivering aerosol medications away from a plug-in source, to use while traveling, to administer lung therapy at a moment's notice.